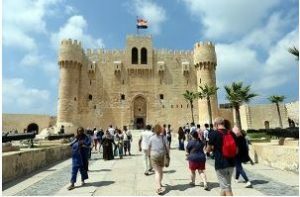 Cairo (Egypt ) – March 27, 2019 (travelindex.com) – Last year saw strong growth for Egyptian Travel & Tourism as it became the fastest-growing country in North Africa, growing by 16.5% – second only to Ethiopia when reviewing the whole continent. This is according to new research by the World Travel & Tourism Council, which represents the global private sector of Travel & Tourism. Inclusivity is also central to Egypt’s Minister for Tourism, H.E. Dr. Rania Al-Mashat’s strategy who hopes to translate the sector’s growth into enrichment by “creating at least one opportunity for one person in every household in the country”. Dr. Rania Al-Mashat added that the Ministry of Tourism has launched a policy framework, the Egypt—Tourism Reform Program, designed to implement structural reforms that unleash the potential of the sector by strengthening Egypt’s competitiveness and are in line with international standards. She also highlighted the new government investments in projects related to cultural heritage, the largest being the GEM, the Grand Egyptian Museum that is scheduled to be open in 2020. The USD 1 billion dollar GEM is the only museum with the pyramids as the backdrop and will include the full collection of Tutankhamen.